CHICAGO—The Chairman of the Illinois Revenue & Finance Committee, Democrat hack and Madigan puppet, Michael J. Zalewski (D-23, Riverside), refused to allow TUA Director of Outreach, Val Zimnicki, to testify against the proposed state Income Tax Increase Amendment at a Chicago hearing on Wednesday, May 2. This bill, HR 1025, filed by Ill. House Speaker and Chicago machine boss Michael J. Madigan (D-22, Chicago) calls for a graduated state income tax increase for Illinois. Zimnicki was registered to be among those giving oral testimony in opposition to this state tax increase. Over 2150 witness slips had been filed to present oral testimony, written testimony, or have record of appearance in opposition to this huge state tax increase. Zalewski allowed only supporters of the bill to testify before the committee. No speakers opposed to the income tax increase were able to testify, and Zimnicki initially was informed that he was not on the list to testify. After further questioning, it was revealed that he was indeed on the list, but was not given a date and time. It was stated that if TUA was to be heard, it would likely be in Springfield, IL, a 200-mile trip from the May 2 meeting in Chicago. Zalewski also is a chief co-sponsor of HR 1025. This abuse of power occurred with the support of notorious Taxpayer Traitor David Harris (R-53, Mt. Prospect), who was the Republican Spokesperson for the Committee and who voted to raise the Illinois State Income Tax by $5 Billion dollars. Despite this silencing of Taxpayers, TUA will continue to spread its message of opposition to higher taxes to fund lavish, gold plated pensions for retired government employees. The Director of Outreach’s written statement can be found below. 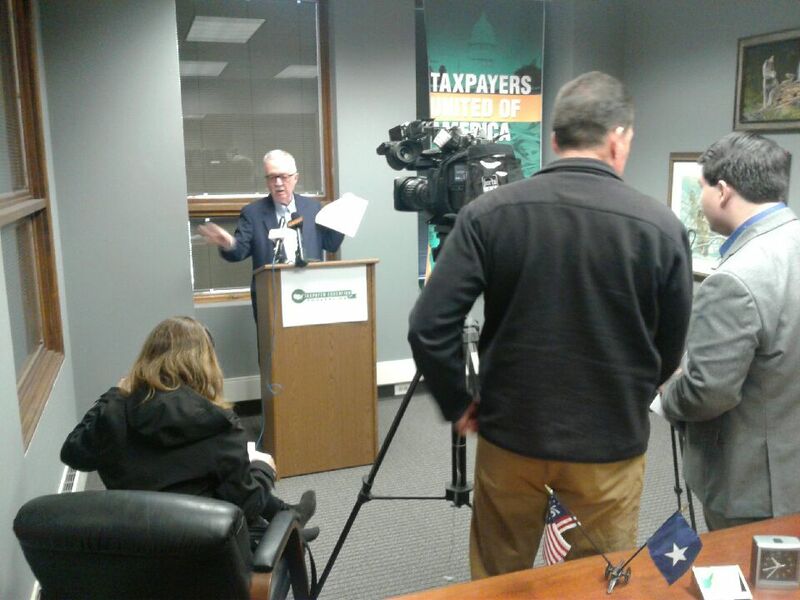 “Honorable Chair, and members of the Revenue and Finance Committee, I am Val Zimnicki, Director of Outreach for Taxpayers United of America. As I look down the road toward retirement, I am struck by how unfair the current Illinois pension system is to the middle class. As someone who works in the private sector, the most retirement income I can look forward to is about $17,000, from Social Security—if I am lucky to get that much. In contrast, retired government employees receive lavish, gold-plated retirement benefits, and, as an Illinois taxpayer, I am forced to pay for these benefits through the state income tax. The current, unsustainable state pension system has created many pension millionaires among retired government employees. Former Illinois Governor Jim Edgar (R), no friend of taxpayers, is rolling in money, thanks to these Illinois government-employee pension plans. Mr. Edgar gets an Illinois General Assembly pension of $166,000 per year, a State University Retirement System pension of $83,000 per year, and is currently hired-back “part-time” by the University of Illinois for another $62,796 per year—pulling in more than $312,000 per year. Former Governor Edgar is a pension millionaire. Former Governor Quinn (D) is a pension millionaire. Former Governor Thompson (R) is a pension millionaire. These three so-called ‘public servants’ are going to receive a total of $11,388,000 in pension payouts over their expected lifetimes. I am paying for their extravagant retirements, because most of the money from the recent state income tax increase is being poured into the insolvent state pension funds that send monthly checks to them. The State of Illinois is functionally bankrupt, and government-employee pensions are to blame. Illinois taxpayers are voting with their feet. In 2017, the number of people moving from Illinois to states with lower taxes outstripped arrivals by 115,000. And it will get a lot uglier if the proposed state Income Tax Increase Amendment is passed. If the state income tax, now a flat tax, is converted to a graduated state income tax, the exodus from Illinois by the middle class will become a stampede. 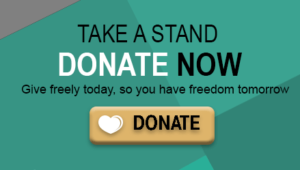 The state will literally go under financially. It is impossible for the state to tax itself out of its current downward spiral. There is not enough money to go around to pay for its current unfunded pension liabilities of more than $130,000 billion. There is a solution, and it also involves a state constitutional amendment. The current Constitution must be amended to allow for reasonable decreases in pension benefits for retired government employees. In addition, all new government hires must be placed in 401(k)-style pension plans, so there will be no increases in the current unfunded pension liabilities. Chicago – Taxpayer Education Foundation (TEF) today released its annual analysis of the Illinois Municipal Retirement Fund (IMRF). 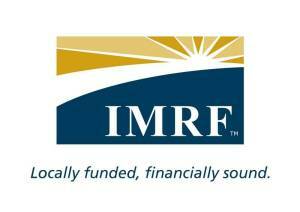 “IMRF is touted as the model pension plan. Of course, that judgment is from the same government bureaucrats who continue to raise our taxes by large margins to cover their own 24k gold plated pensions,” stated TEF founder and president, Jim Tobin. The Bureau of Labor Statistics reports that all level of government employees made more than private sector employees. The overall average salary of $44,600 per year for private sector employment pales in comparison to government employee salaries, which averaged $51,840. Government employee total compensation far exceeds private sector rates. Benefit pensions are all but eliminated in private, non-union roles. TEF advocates state government pension reforms that would replace the current defined benefit system with a more sustainable defined contribution system. Additional reforms should include increasing government employee contributions to their own pensions as well as discontinuing the 3% compounded cost of living adjustment. Average annual pension: $15,616 not including Social Security benefits that nearly all former municipal employees receive. Click here to view their coverage of the data.